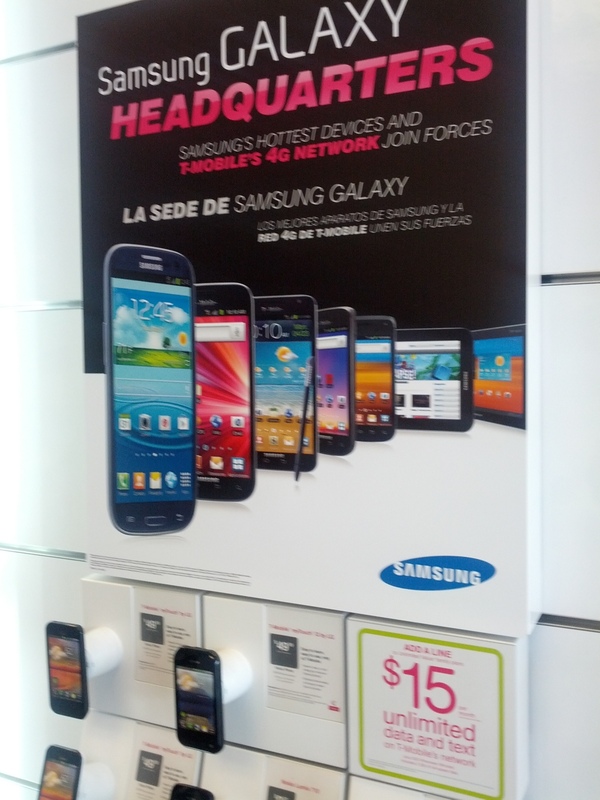 Although it still has yet to be officially announced by the powers that be at both Samsung and T-mobile, T-Mobile stores across the country have started displaying these co-op advertising posters which prominently display the 5″ Samsung Galaxy Note. The Samsung Galaxy Note released earlier this Spring and exclusively on AT&T and their new 4G network. The Galaxy Note was actually announced last year at the IFA trade show in Berlin Germany last September. Samsung introduced the device as a disruptive new category between phone and tablet which were affectionately called Phoneblets or Phablets by the mobile tech media. The Samsung Galaxy Note was the last Android device that I personally carried and quickly found it was a breeze to post blog posts from it. In fact we used it exclusively to publish content on our old site and this one from SXSW back in March. Many Android and mobile sites have showed leaked pics of the T-Mobile branded device, however this picture isn’t even a poster in a tube or a back room. Our source snapped the picture directly from the wall of their Texas based T-Mobile corporate store.